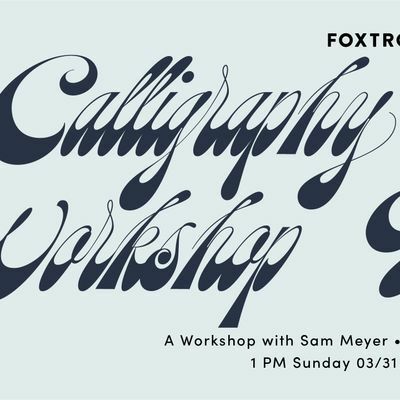 Join us for a hands-on introduction to calligraphy workshop! 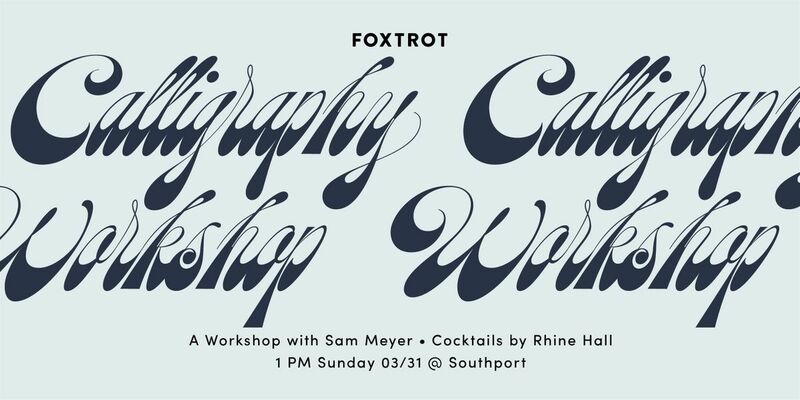 Led by Sam Meyer, local calligrapher and stationery designer behind Samantha Meyer Studio, you'll learn all the essentials to getting started with pointed pen calligraphy. Whether you're planning a party, wedding, or just want to pick up a new hobby, this skill (with practice!) can provide a lifetime of artistic possibilities. Your ticket includes: materials to use during class, plenty of practice worksheets, the materials for a small project to test out your new skills, and a cocktail from our friends at Rhine Hall. Sam will also have calligraphy kits available to purchase during the class.